Bolton Tool's Pallet Jack with Scale Indicator can lift your pallet cargo up to 4409.2 lb. 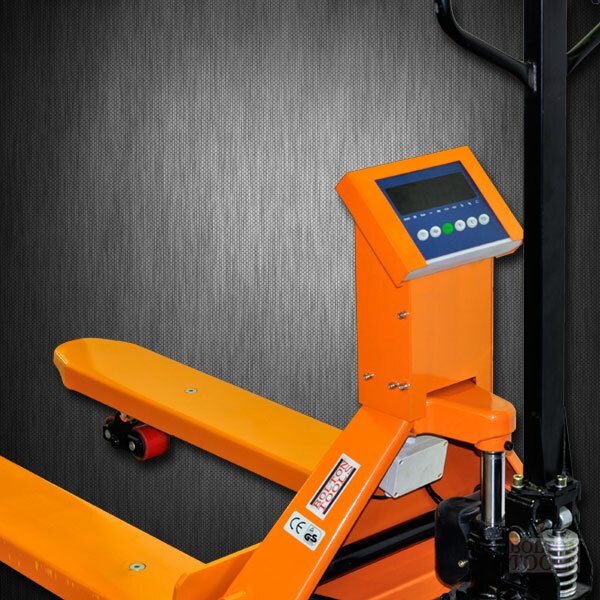 Features a weighing accuracy ±2.2 lb for load of 4409.3 lb (±1Kg for load 2000Kg). Printer available. Kilogram of pounds available and External charger or batteries available. 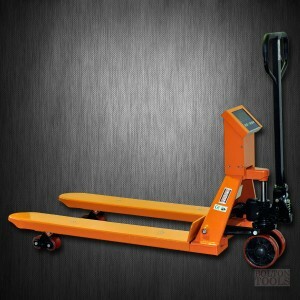 Fork Width: US: 21.3" / 27.0"
Packing Dimensions: US: 88.2" x 43.3" x 35.4"